For Hands, Feet, Face and Body since 1962. For over 90 years paraffin moist heat therapy has been used to relieve pain, inflammation and stiffness caused by arthritis. A form of thermotherapy, paraffin treatments effectively increase blood flow to aid in rehabilitation, or to warm an area of the body prior to other therapies or exercise. Warm paraffin is also used extensively to soften dry, cracked skin by drawing moisture from within the body to the surface. Hands, feet, face or elbows are left feeling soft and appearing more youthful looking. 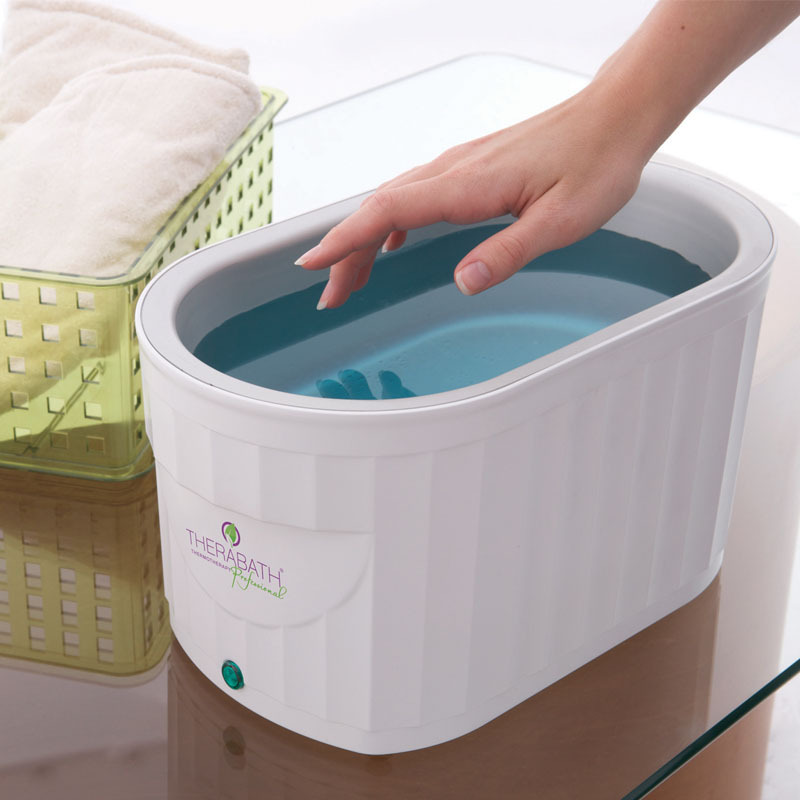 The Therabath Professional Paraffin Bath is USA made to Class II medical device standards, an its still the only Made in the USA CE/ETL listed portable paraffin bath on the market. Therabath units are hand-assembled ensuring that each and every one leaves the factory durable, safe, and reliable. The Therabath Paraffin runs in an “always safe” temperature range and is designed to maintain the desirable therapeutic temperature range of 52 to 56 degrees Celsius. Two internal thermostats ensure that the user will never immerse into wax that is too hot. In addition, the unit safely runs 24 hours per day (we say it’s safer than your refrigerator!) so that it is ready to combat pain when the user is! Just as you leave your refrigerator on and ready to use, leave your Therabath on too! ALWAYS SAFE TEMPERATURE RANGE – even during the initial melt cycle!